That's what Little Girls are made of? Well, I think one of the biggest plusses to having a little girl after my two boys is the clothes. Girls clothes are just more fun than boys--even though I had the best dressed boys in town! It's all the bows, the ruffles, the lace, the tutus, all of the fun and frilly things that are girly. That’s where Baby Embellishments comes in! Krista makes t-shirts and onesies for your little girls and boys. She also creates tutus, dresses, and bows for your girly girl! 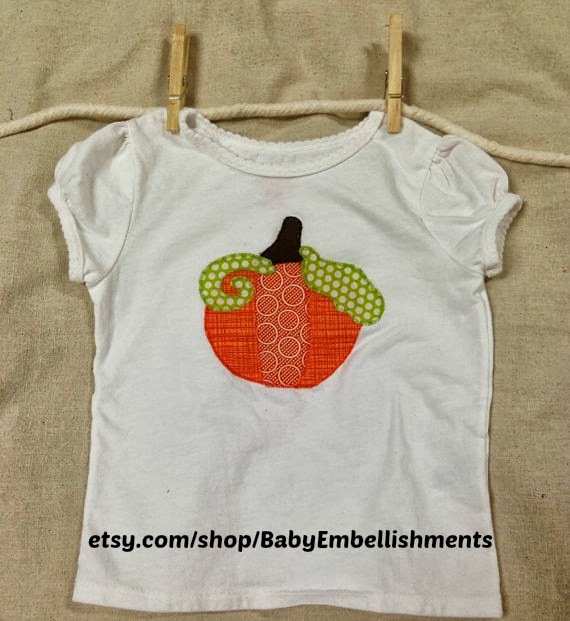 You can see the original review at Liv, Laugh, Love, but they got to try out the pumpkin embroidered girls’ shirt, perfect for the Pumpkin Patch and other fall fun. Plus she got a matching barrette. 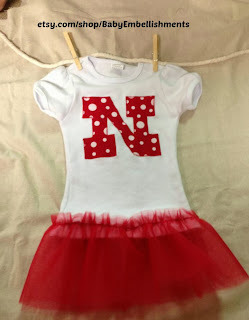 Not only does Baby Embellishment make perfect items for Halloween, designer Krista also creates Husker (and Iowa) gear (including adorable tutus)! Don’t miss the Chevron inspired items for Fall! Order from Etsy before Sept. 30, and get FREE SHIPPING! Use the code FREESHIP. Don’t forget to check out the items on Facebook as well! 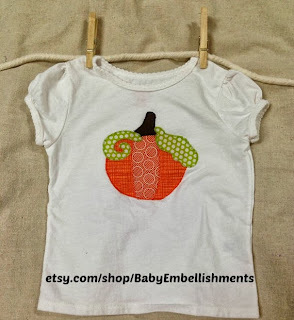 Enter to win a $15 gift voucher to Baby Embellishments! There are several ways to enter on the Punchtab below! 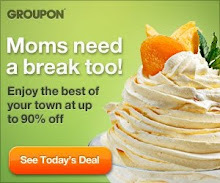 Disclosure: Coolestmommy participated in a group review and is not responsible for giveaway fulfillment. All fulfillment questions need to be directed to Liv, Laugh, Love.